Sublime beauty by Klimt. 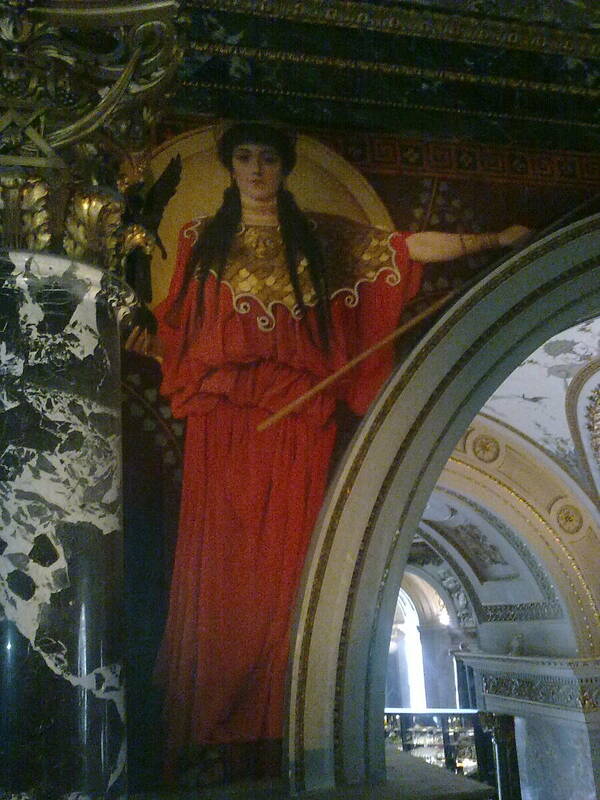 Sent to me by my lovely mother-in-law from the Kunsthistorische Museum in Vienna this morning. How proud and strong her stance, gently holding a sceptre on her right and pointing the way to her left. Flowing soft crimson drapes her feminine form and a hint of foot, sandal strapped and naked make a tender appearance. I only wish for a slight smile to her face, a sign of softening. But I feel this is no time for that, she has a duty to uphold. I only understand too well.